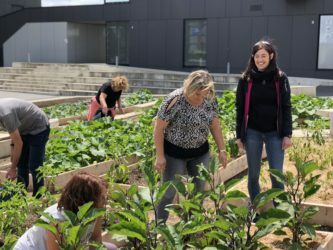 As part of its new human ressource policy, Auchan Luxemburg wanted its employees to participate in a local and sustainable project. 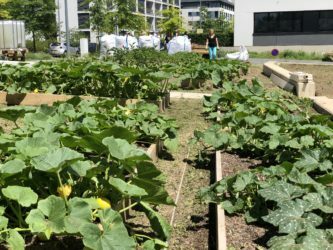 Skyfarms was chosen to put in place an ambitious project in the Kirchberg Area. 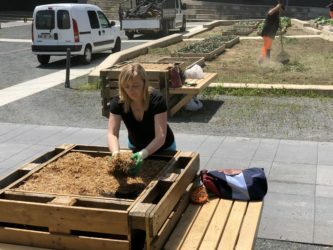 The Fond du Kirchberg also got involved by providing the land and tools necessary. 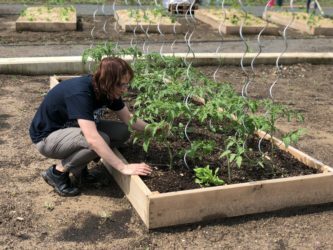 Every week, a group of employees and inhabitants spend the day working in the garden. They are trained and do the planting, maintenance and harvesting. The entire harvests are than redistributed between the inhabitants. Short format trainings are also offered to local companies that wish to join the initiative.